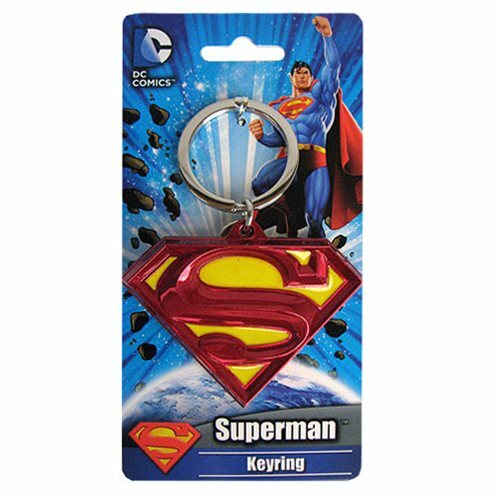 Add some Superman flair to your keys! This Superman Logo Colored Pewter Key Chain is the perfect thing for Superman fans. It features the Superman shield logo colored in the classic red and yellow! This key chain measures about 2 1/2-inches wide x 1 3/4-inches tall.